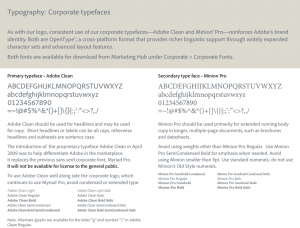 Many organizations have a well-established Corporate Style Guide. These style guides are the guiding principles for writers, designers and managers to develop a brand-consistent message. 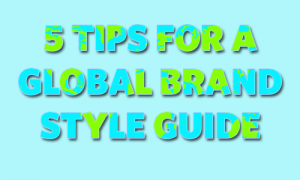 However, these principles may not always apply in other markets and not many organizations in our experience take the time to build market specific knowledge for their global brand communications strategy into their style guides. 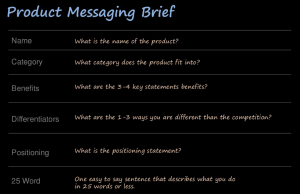 There are many examples on how to create a Brand Message Brief, but how many take a Global approach? The Brand Position is usually the fist item on the list of any corporate style guide. They usually describe a brand profile, brand positioning, brand words and a profile of the target audience. These are all very important guiding principles for the translation process as well. Take for instance the role of gender in language. One of our clients exclusively sells products for women, which is an important distinction in a gender specific language such as French. The brand position and customer profile helps to form an idea on creative aspects that do not translate directly and require more background on age, gender and intent of the brand message. When a new market becomes a growing customer segment, it’s time to take note how the brand position may change for that audience. For instance, one of our retail clients did further research to profile their Hispanic consumer and found out that their key brand elements “comfort” and “affordability” were valued much lower with their Hispanic customer as compared to their American customer, where it ranked highest. Now, their selective brand messaging that is translated into Spanish focuses more on style and color over comfort, which has resonated a lot better. Building this knowledge and documenting this becomes a necessary strategic investment and asset to the company. Corporations often are subject to industry specific terminology, but they also create a lot of their own nomenclature. The most important terminology often is contained in the brand messaging of their Global brand communications. However, it is just as important to get a handle on terms like department names, job titles, program names, slogans, logos, industry terms etc. Corporate specific terminology should be developed early in a company’s translation efforts. As with many startup processes, the collection of company specific terminology and selection of standardized terms in other languages can take some time to get off the ground. If an organization is just starting out to access a foreign market, they can often rely on the translation vendor to use subject matter experts to translate their terms into other languages. That, in turn, should be cataloged in a Termbase for future use. If the organization already has a local presence, they may need to reach out to their local stakeholders to find out what terminology is already being used, which could be a time consuming effort. Certain markets may restrictions on specific terminology as well that needs to be taken into account. Other departments may be using their own software that uses entirely different terminology. There are many ways in which terminology can be affected. Bottom line is that organizations with an increasingly growing global presence needs to define their process by which it determines how terminology for each markets is determined, specified, cataloged and reused. 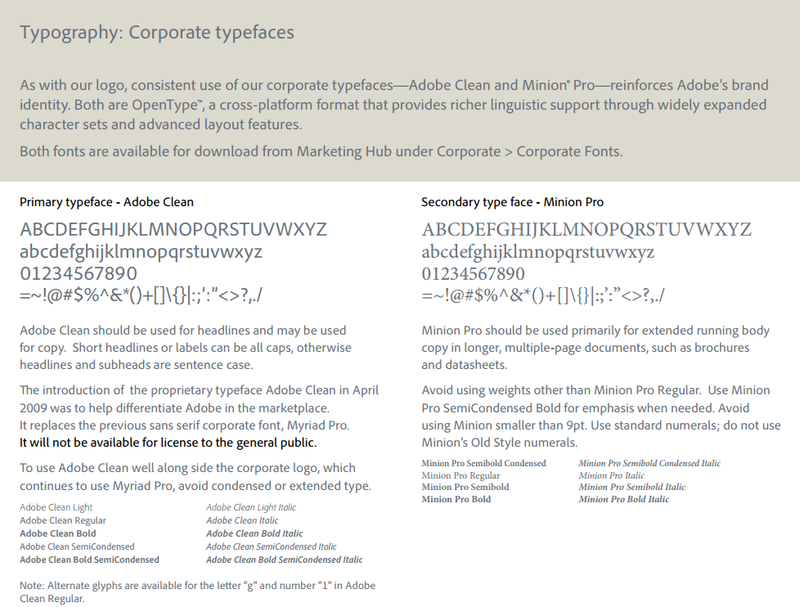 Fonts are chosen mostly to support the company’s brand purpose, not for its usefulness in other languages. However, testing your fonts for extended character support is highly recommended. If the fonts that you use for your brand do not have extended character support, such as Cyrillic for many of the East European languages, or even accented characters for French or Spanish, your translation project can suddenly get to a screeching halt when you put your translation in layout (Read our Blog post “Getting your InDesign file translation-ready” for other recommendations on font support). Important font substitution decisions that have an impact on the brand may be rushed or could delay projects unnecessarily. Therefore, test your fonts for extended character support. If, for instance, you find out that your stylish font doesn’t display Chinese correctly, rely on experts to find similar fonts and standardize these across the board. Also, take into account all forms of media when testing fonts. Google fonts have become increasingly popular in web design because they are open-source, optimized for web and versatile. However, not all fonts have accented character support. Readability of video subtitles suffer greatly when choosing stylistic fonts, so it’s best to either incorporate a universal font in your style guide that works well for video. Take a cautionary approach to language rules in layout. A lot of corporate style guides include phrasing and messaging that should be used in the brand, how it should be capitalized or styled and also sometimes what phrases go together. These rules do not necessarily always follow the grammatical rules of the other language. For example, just because a style guide says that in headlines, the rule is to “capitalize the first letter of the second line for emphasis,” doesn’t mean it is always appropriate in the other language (Our blog “Designer’s Style Guide to French Translation for Canada” is a must read if you market to Canada). Avoid forcing stylistic rules on another language without consulting the proper grammar rules first. The best approach is to create a separate layout section for each language as a general guideline for designers to keep in mind when creating layouts. Then, rely on your translation vendor to handle layout or at least, proof the layout. Other considerations towards language and layout is the use of bilingual layouts. 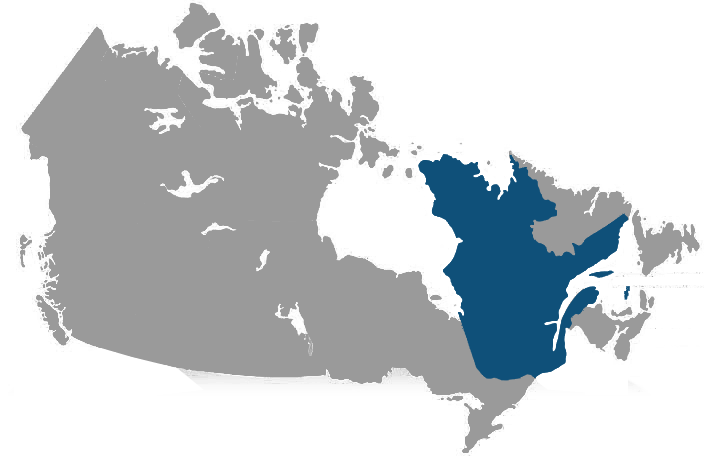 Bilingual layouts can be complex as certain layout rules conflict between two languages. A good example is pricing in Canada, where the dollar sign comes after the dollar amount. Decimals are separated by commas rather than periods. These are style guide problems that should be addressed, cataloged and used consistently by all parties involved. This kind of goes back to the first point on brand position, but in a more practical sense. Organizations like to do a lot of storytelling to get connected with their customers or employees. Keeping your target audience in mind when choosing the right stories, images and colors for your design can help you not only avoid issues down the road, it can even help you to create opportunities to leverage your hard work to reach a wider audience. Consider our client who went on creating one of their most ambitious marketing campaigns to date, by selecting stories and images from real customers. They went out to select a diverse group, including a Hispanic family to include for their campaign in the US. When it came to translate this campaign into French for Canada, the opportunity was already lost to also feature a French speaking family that could speak about the brand from their cultural perspective. While all efforts were done to make the campaign look polished in French, nothing would have been more relevant to their French speaking customers than to feature a story that directly came from one of their peers. 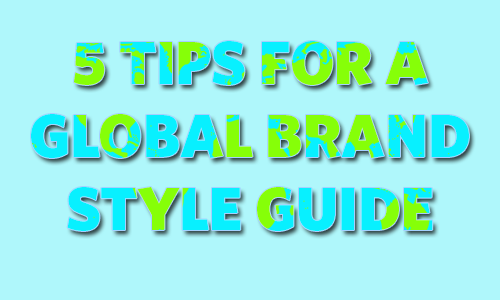 Consider early adoption of Global principles in your Style Guide by developing “from the ground up”. Start by working on content and language & design readiness, before thinking about more strategic principles. It’s easy to overlook the diversity of your customer or employee base when developing a new employee program or marketing initiative. Taking into account the decisions required at every stage to keep all of your customers in mind, and to allocate enough budget and time relevant to those opportunities, can help organizations be more prepared for the global market. A Global Corporate Style Guide, along with the proper awareness of these variables is a good way to hold these principle together and allows organizations to build on their knowledge that they gain as they mature as a global organization.